Chris Brown wants another second chance. Brown, following a long tradition of mediocre male artists who maintain their careers after abuse allegations, released a new album today, Heartbreak on a Full Moon. It’s 45 songs long. Its length conveys a distinctly modern kind of desperation. In recent years, we’ve seen everyone from Drake to The 1975 push the 20-track mark. On the surface, it’s a way to get all of your artistic indulgences out on one record. But it’s also one of the easier ways to land a No. 1 album. Since Billboard counts 1,500 streams as one equivalent album sale, it makes sense for an artist to include as many tracks as possible to maximize plays on streaming services—the most convenient way for fans to contribute to an album’s success. But Chris Brown’s fans—Team Breezy, as they call themselves—are a different beast. One fan account with the Instagram handle @breezy_manuelcav posted a very specific set of instructions for how to take Heartbreak to No. 1 in a shorter timeframe—since it’s debuting on a Tuesday, instead of the typical Friday, Brown only has three days of sales and streams. They also want to “get Chris the recognition and success he deserves.” Brown reposted it from his official Instagram account. 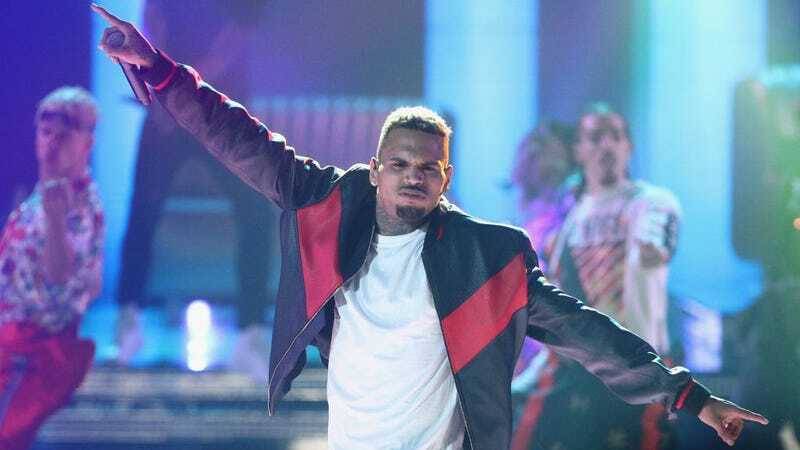 @breezy_manuelcav has a strong grasp on how to give Brown the most possible sales, urging fans to activate multiple streaming free trials—which they can just cancel after 30 days—and NOT listen to the album on iTunes, since there’s no streaming revenue to be had there. The other thing: If you’re planning on buying multiple copies of Heartbreak in a brick-and-mortar store, make sure they’re on separate receipts, or else each copy won’t count toward his first-week sales. As Brittany Spanos reported for Rolling Stone earlier this year, it’s not uncommon for passionate pop fanbases to rally up and game the system in this way. (Spanos mentions that this started with One Direction fans, but the fandoms of Nicki Minaj, Katy Perry, and others do it too.) What is rare, however, is for an artist to boost these schemes from their official social media account. It’s even rarer when that album is a 45-song effort that no one asked for. Brown might be willfully manipulating his way up the charts, but he’s far from alone. When the Billboard charts are like the Wild West, who’s really keeping score? Update (11.2.17, 6:00 p.m.): Chris Brown is a little confused about how the Billboard charts work. (Aren’t we all?) As Complex points out, he deleted the initial Instagram post, which offered explicit details about how to maximize sales and streams for his new album. Despite that fan’s post declaring, “we only have 3 days tracking after release for its debut on the Billboard 200,” Brown seems blindsided by this fact. “So I’m hearing that I will only be credited for 3 days of sales for my first week,” he wrote on Instagram earlier today. “DONT UNDERSTAND how that is.” It’s pretty simple: Ever since the global release day was switched to Friday in 2015, Billboard adjusted its tracking period to reflect sales and streaming data from Friday through the following Thursday—no matter when an album is released. Brown also has some wrong-headed ideas about how RIAA diamond certification works. He has nine platinum certifications from different releases, and thinks one more will get him diamond. When, in fact, you need 10 platinum certifications from one release to go diamond. Sorry, Chris! At least his monstrous chart hack should work out to some degree, as Billboard is currently projecting Heartbreak on a Full Moon for a top 10 debut.